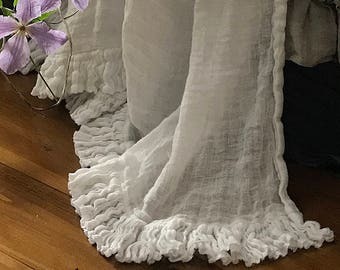 NEW 2017 - pure linen pillowcase with ruffles 'Sisi'. Goose down pillow insert included. 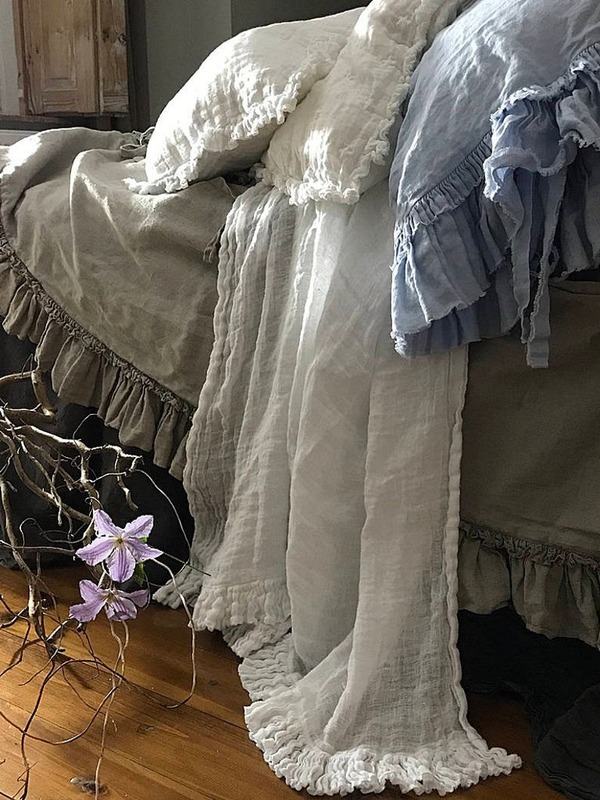 Soft, selected linen fabric, fluffy. Polish goose down insert included. Essential cushion for sleeping, relaxing, traveling. Recommended for children - Oeco Tex certificate, 100% Polish goose down pillow instert. 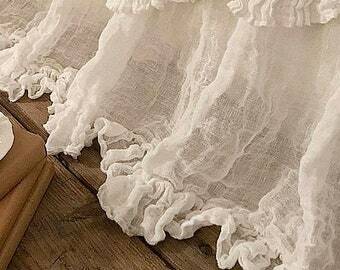 100% European highest quality pure linen. Pure nature. Sheer linen. Extraordinary soft, light weight, 100% Polish goose down and ultra light, thin and smooth sheer linen cover guarantee exceptional comfort whenever you use this cushion. It's perfect as add pillow to helping you asleep as well useful for car and plane travelings. It's small, very light and you need only 20 min to dry the cover after wash!! I made this cushion with highest quality products and you get it soft, smooth, ready to enjoy it!! YOU LOVE IT!! This will make a great gift for any occasion as well. Ideal gift for her. 100% exceptional, highest quality Polish goose down, exterior made with extremely soft, noble cotton. Feathers and down are the best raw materials that can be used to fill quilts and pillows. Used for thousands of years, they continue to enjoy enormous popularity, due to their unique properties. The most important ones are: amazing lightness, good air circulation, and exceptional durability. As natural fillers, in these respects they cannot be replaced by any synthetic fiber. Small linen TRAVEL BAG for your cushion for free. Just simply roll it cushion, pack to small travel back and take it with you !! Available colours: plain off-white, embroidered off-white, plain natural, embroidered natural, dark purple. Below examples of feedback's from my LOVELY CUSTOMERS FOR MY HANDMADE WORK QUALITY ! "Absolutely unbelievable workmanship from a very talented young seamstress. In the day and age of mass production, her items will be treasured family heirlooms that can be handed down from generation to generation!!! It was a lucky day when I came across her shop on Etsy!!!! Thank you so much ..........Susan"
"I received my package from Dorota Christmas Eve. Best Christmas ever! I'm usually pretty reserved, but when I opened the box I squealed, yes squealed, like a little kid at Christmas. Absolutely beautiful! Dorota exceeded my expectations, which is really saying something. Just ask my friends :) I love, love, love the attention to details on everything, including the flawless packaging (I even took pictures of the wrapping because I was so impressed, lol). Everything fit perfectly. I couldn't be happier. I can't help but smile every time I walk in the room and see my bedding. I'm ordering more, and can't wait to see it all put together :) Thank you Dorota! You are a genius seamstress!" Very pretty pillows ! Very well made. Amazing , so beautiful .